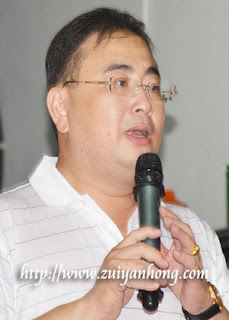 MCA Youth Chief Dr Wee Ka Siong and Minister in the Prime Minister Department Nazri Abdul Aziz are involved in a war of words across the air. Their argument reveals the unsolved Public Service Department Scholarship problem. What's wrong with Public Service Department in handling the selection of scholars for years. If not Deputy Minister of Education Dr Wee Ka Siong no need to appeal for the excellence pupils. This is the sad story of MCA not in power. If 1Malaysia idea really had been implemented, Wee Ka Siong and Nazri wouldn't have to start a war through Media. Is this the consequence of MCA high-profile in politics? Well, it's truly interesting.